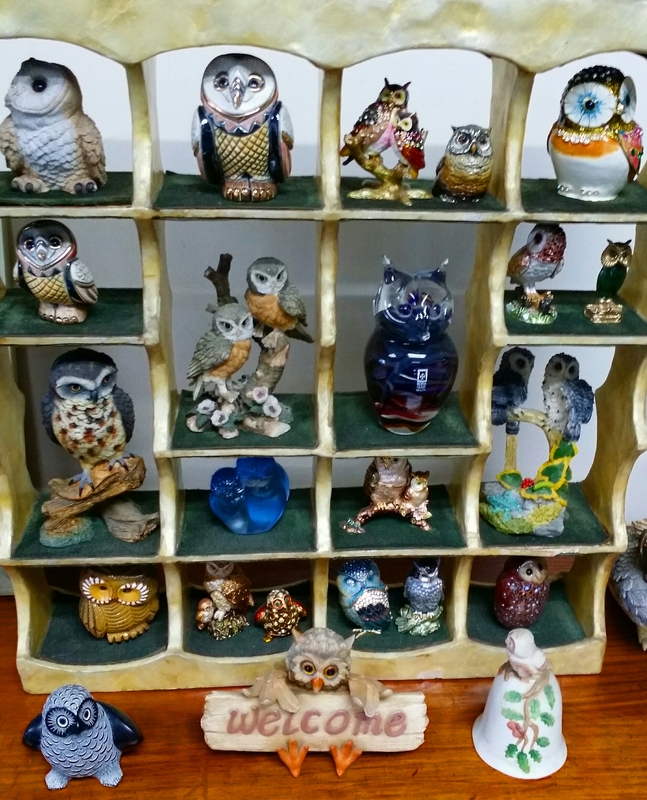 I saw this collection of owls (“kuwago” in our local dialect) in the office of a well-known personality in the accounting profession here in the Philippines. As I was waiting for the person whom I will be meeting at his office, I can’t help taking a photo of this awesome owl collection. As much as I want to touch at least one of the owls, I dare not for the fear of breaking one! Second shelf from the bottom. Middle. The two blue ones. They are beautiful. I like your choice too. P. S. I am the friend Jo mentioned. She’s slways thinking of me when it comes to owls. – kuwagos. And I learned a new word! I have a friend who loves owls. I shall send her this post. Many thanks for the follow. Looking forward to reading more of your blogs. Cheers!